Platonic Solids: Why only five of them? Regular polygons are polygons with congruent sides and congruent interior angles. In three dimensions, the equivalent of regular polygons are regular polyhedra — solids whose faces are congruent regular polygons. 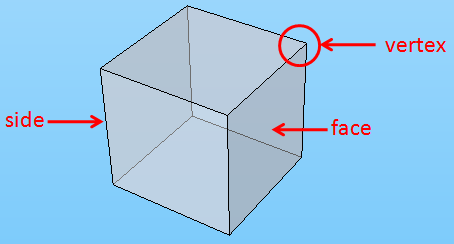 The most common regular polyhedron is the cube whose faces are congruent squares. The other regular polyhedra are shown below.